Integrity is a matter of gaining practice at truth-telling. a unique approach to integrity: It is a practice of fulfilling explicit and implied promises, in other words a skill, rather than a product of intuition and will (“just do the right thing”). Decision-makers routinely fail to grasp this distinction believing integrity can’t be taught, just encouraged. Integrity can be taught as a skill and we teach it . Stuart H. Brody has served prominently in law, politics and academia. He has appeared before the Supreme Court, written numerous articles on dispute settlement and employee relations, advised Presidential candidates, served as counsel to state government on ethics and lectures nationally on matters of ethics and integrity. He is currently Senior Scholar at the Institute for the Study of Public Ethics at the State University of New York. 25 questions that may change how you think about your own integrity! 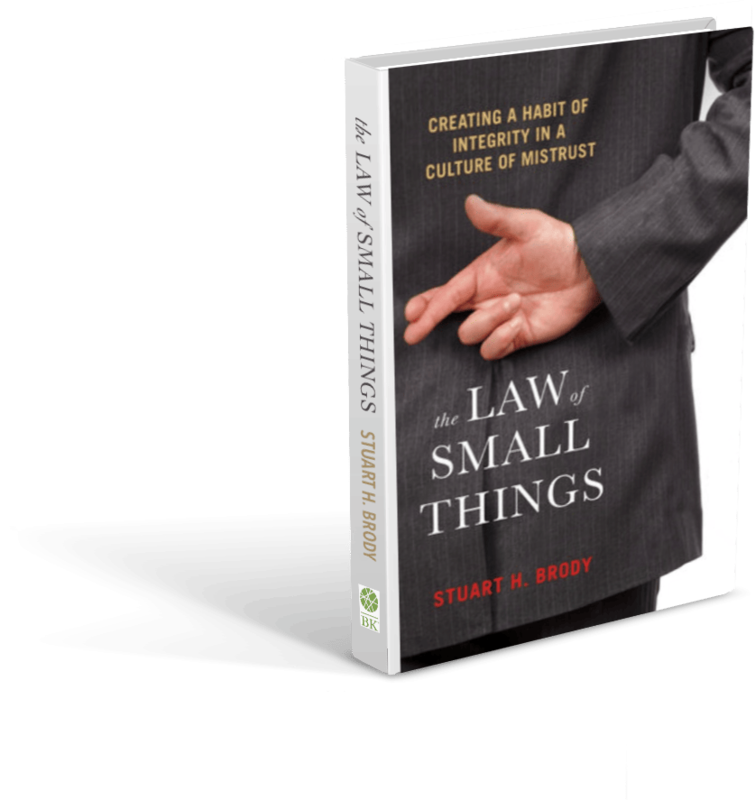 Take the quiz and receive a free chapter of The Law of Small Things. Integrity Intensive speeches give your attendees the means to see integrity challenges clearly and to practice integrity consistently and confidently. Integrity Intensive has written several academic papers on the importance and practice of integrity. We also offer free resources for download in the resources section. Our Integrity Decision Model (IDM) is a leadership training method that teaches managers and business professionals how to identify and balance competing duties. Integrity intensive offers an on line interactive training course in the practice of integrity and civility. This curriculum probes beyond common understandings of integrity and civility. The Law of Small Things: A User’s Manual. The breaches of trust in the corridors of power have come into sharp relief in our polarized political landscape. But there is a wider point to be made: how, as individuals and as a nation, we can embrace truthfulness as a resource to help us live authentically, in both small and big ways. The big breaches of integrity we see all around us—and which we tend to blame on others—can be addressed by the practice of integrity in our lives, one small step at a time.